Box Hill is in the Heart of Melbourne's leafy East. It is a hub for authentic Asian cuisine, shopping, public transport and business. The apartment features unbroken balcony views of Melbourne's North and East. Fully furnished to a high standard and with a fully appointed kitchen. Wooden floorboards make for a clean and warm environment. Secure stacker parking provided for one vehicle and easy access to public transport (trams, trains and buses) less than 500 metres away. 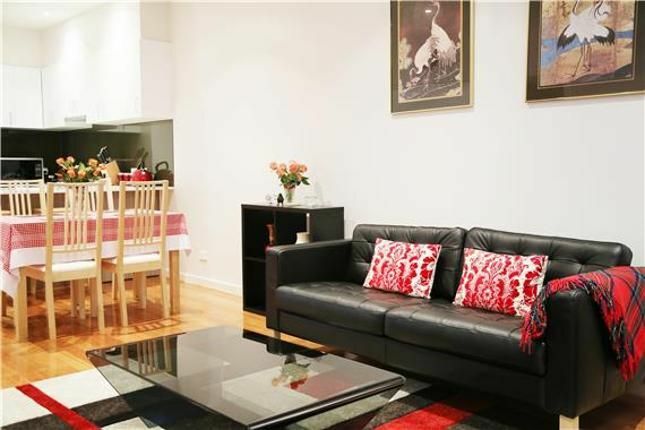 Bluebell Apartments is less than 500 metres away from Box Hill central shopping centre. The fresh food markets and authentic Asian cuisine are real features. Bluebell Apartment's location and appointments suit both corporate travelers and families holidaying in the area. The apartment was absolutely lovely and very comfortable however the apartment underneath was very annoying. We have family in Melbourne and was there for a family wedding therefore we were out everyday, but on arriving home each day we would get a complaint from the apartment below for being too noisy! They did not want us to wash or walk around the apartment, and on a couple of occasions they actually intercomed us! We did not do anything out of the ordinary and there was only three of and no young children! This made the actual stay in the apartment uncomfortable as we didn't feel at home. There was also homeless people in the area on the ground floor.